The Architectural Association School of Architecture in London, commonly referred to as the AA, is the oldest independent school of architecture in the UK and one of the most prestigious and competitive in the world. 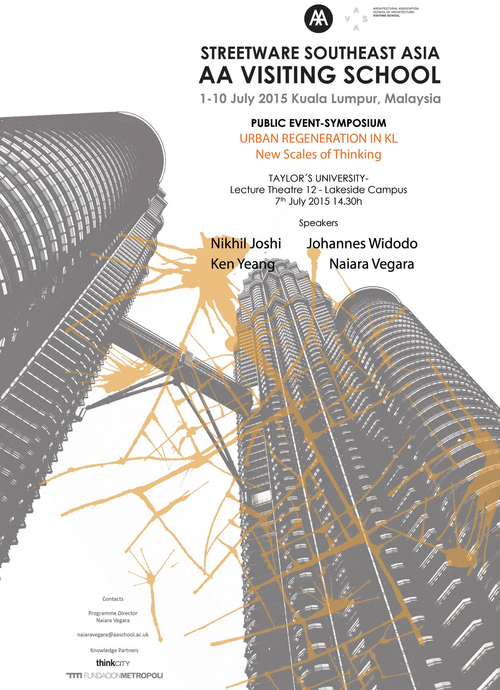 Its visiting school programme Streetware Southeast Asia is a city-by-city tour whereby the itinerant research workshop will focus on specific urban regeneration challenges. Local students and professionals will team up with a group of international professionals from AA to explore new ways of thinking by using innovative design methodologies combined with on-site recording and a lecture series from local and international experts.